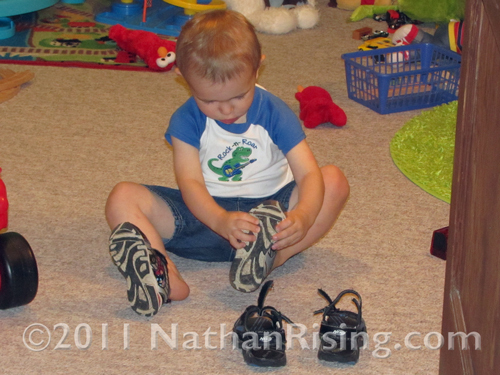 Nathan loves to put on his shoes. Never mind that they’re on the wrong feet. Or that his feet aren’t entirely inside them… the kid is about as proud of himself for his near-accomplishment as he can be!